Guy Harvey Ocean Foundation and the Cayman Islands Department of Environment is hosting a moonlight screening featuring the documentary A Plastic Ocean, Tuesday 7 November at 7pm in Camana Bay’s Gardenia Court. Snowcones and popcorn will be available for purchase and all proceeds will go to Guy Harvey‘s Ocean Foundation. A Plastic Ocean is a film that candidly shows the magnitude of plastic polluting our oceans and threatening marine life. Ocean plastic is a growing epidemic contaminating the balance of the ocean, entangling marine life and often being mistaken as food by marine life, mammals and birds resulting in their death. A Plastic Ocean is a powerful film. It is a wake up call, forcing us to pay attention to the level of consumption of plastic products we as consumers have and the negative environmental impact is poses on the ocean due to a lack of proper waste management. Moreover, it brings to the forefront the negative implications plastic toxins have imposed on marine life, our environment and even ourselves. There is a domino effect, the harm we inflict on our environment eventually catches up to us and as a result we hurt ourselves. It is a film that inspires us all to come together to find effective and impactful solutions to tackle the lofty issue of plastic in our oceans. Now more than ever, we need to evaluate our use of plastic, in particular single-use plastics. The epic amount of plastic that is being found in the ocean is a concerning issue. It is a problem that is only going to increase until we all break free from plastic on a global scale in a paramount way. Our relationship with plastic is simple, we have a plastic addiction that is out of control. Plastic is everywhere and used to package nearly everything. Plastic is cheap, convenient and as consumers we have been conditioned to purchase products with plastic packaging and sadly with a bit of a disconnect. Somewhere along the way we stopped asking ourselves where does the trash end up? How long does it take to breakdown in a landfill? What is the environmental impact? The bottom line is there is no “away” trash ends up somewhere and unfortunately the ocean is being treated as a trash can. It becomes easy to justify our use of plastic products because we know most of them can be recycled, but maybe it would be better to eliminate the use of plastic products as much as possible and choose more eco-friendly alternative packing of items instead. In regard to single-use plastics, challenge yourself to eliminate them all together. For instance, say no to straws. A simple action such as giving up straws will add up in a big way. Plastic water bottles, trade those in for a reusable water bottle. Ordering food in while at work or picking up food on the go, consider bringing your cutlery from home or purchasing bamboo cutlery that you can bring to the office. This is an easy way to stop using plastic cutlery. Love your coffee first thing in the morning? Choose to bring a reusable coffee cup to your favorite coffee houses and cafes. Moreover, as a community we can come together to tackle the issue of ocean pollution by organizing and taking part in local beach clean ups. It is astonishing the amount of trash that is found on the beach. Plastic and trash on the beach hits close to home. 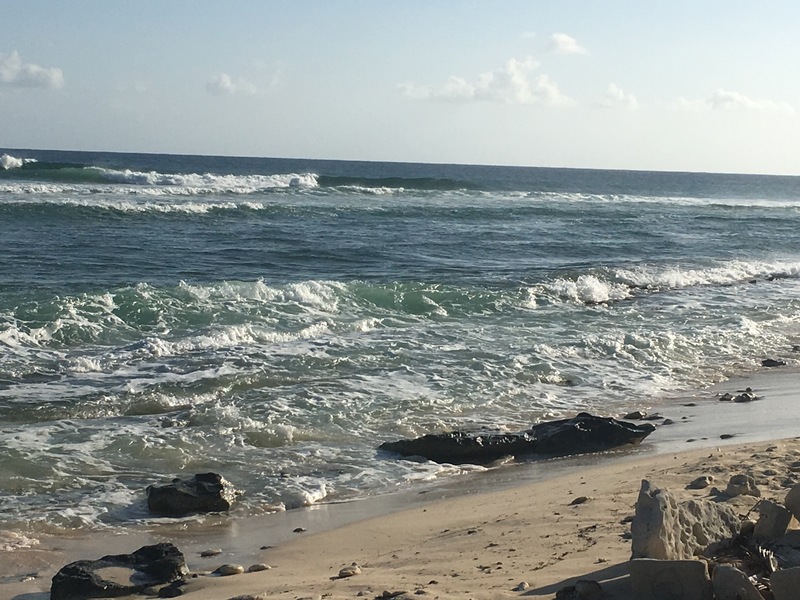 Recently, a beach clean up hosted by Plastic-Free Cayman collected 1,100 pounds of trash after cleaning up Beach Bay for only a couple of hours. Curious how much plastic bottles contributed to that? A hefty 112.3 pounds was plastic bottles (Plastic Free Cayman, and Cayman 27) Now is the time to act, and work together to reduce our use and reliance on plastic products drastically.